The Kalishnikovs – Live on 28th February! The Kalishnikovs are coming to celebrate our one year anniversary with us! Our favourite live band is back, fresh from their debut at the Snowball, hot and ready to swing us even harder than the last time they were here. If you haven’t started Lindy Hopping yet and you’re keen to find out what it’s all about, there will be a taster class for beginners, starting just after 20.00 (no extra cost). 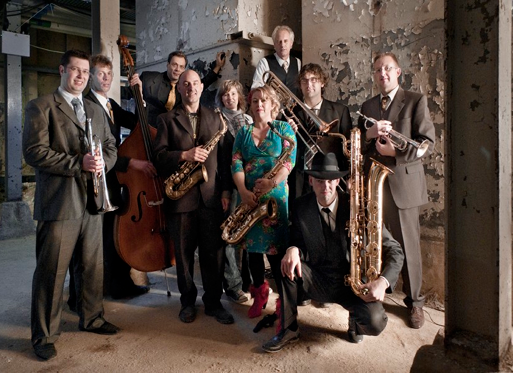 The Kalishnikovs are a small big band that specialises in ’30-’40 swing music for Lindy Hop dancers. No matter whether you just started dancing, you are more experienced or even if you are advanced, everybody will have a good time when they start to play. this particular style of music.